Making Fallbrook & Surrounding Communities Beautiful Since 1989. From our initial free consultation with you, we will determine whether a formal drawn plan is what you need or a verbal concept. Either way, we can create any style of landscape that will meet your desired goals. 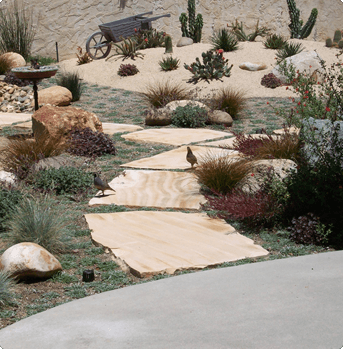 With the water crunch in California, we specialize in creating unique waterwise landscapes using hearty plant material, cutting edge water saving irrigation and natural hardscape elements. This combination can create some of the most beautiful desert or lush landscapes, both being water efficient. 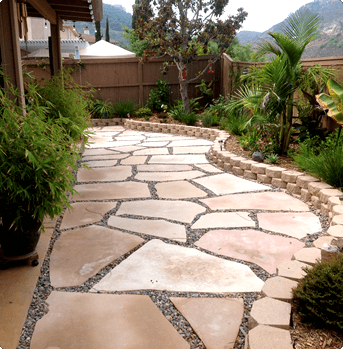 If your landscape needs concrete or pavers, we can provide plenty of options for your project. 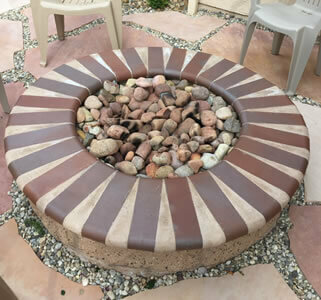 Whether it be plain, stamped or colored concrete and interlocking pavers; we can do it all! We also install concrete lawn edging making the definition between lawn areas and planters very visible. 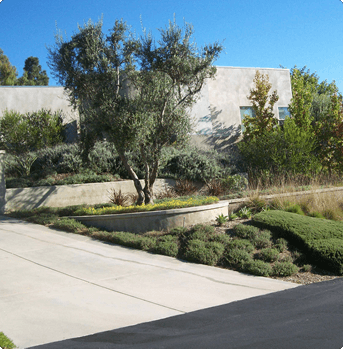 One of the most important aspects of new and established landscaping is proper maintenance and care. We have offered this service for over 25 years and provide a complete maintenance service with trained employees who know all aspects of landscape maintenance. Whether it be trimming or pesticide services, we can do it all in a reliable and professional manner taking that burden off of your shoulders. Mike Knox has been our landscaper since we built our home in 2004. Mike designed and installed the entire project including our 20’ waterfall and has continued to maintain the property weekly. 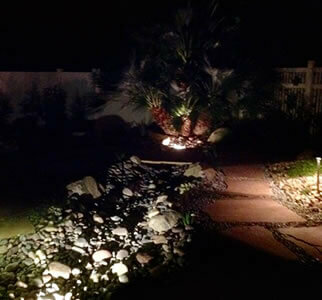 Mike’s vision and creativity have enhanced our enjoyment of the outdoor areas of our home. Visitors often comment on the beauty of the waterfall and the tranquility that it creates in the back yard. In the 9 years that we have used his maintenance services Mike’s crews have never failed to show up and do their work on a weekly basis. The crews are always professional and leave the property neat and clean. Mike is responsive and available when if any problems arise. 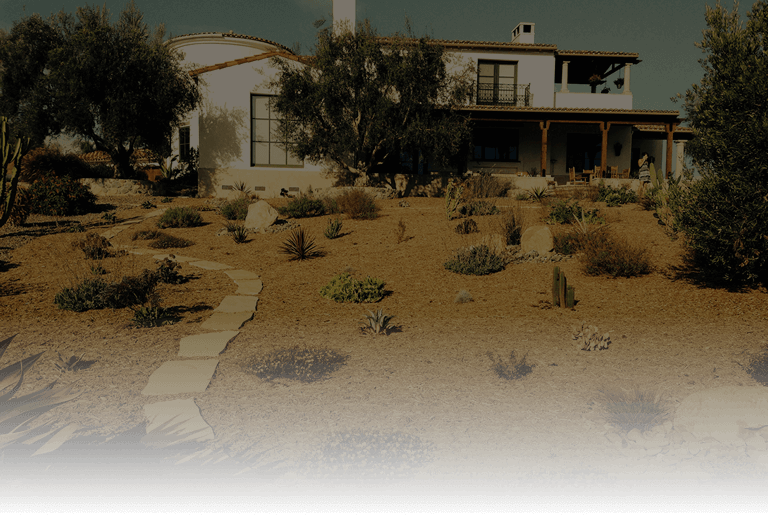 I have worked with Concepts in Landscaping for over 5 years in developing my property in Fallbrook. Mike Knox has been great to work with and has taken the time to both understand my vision for the property and understand that I couldn’t do it all at once. He has made sure that the incremental projects we’ve done work together (we have not had to un-do things) and the latest project, the front yard for our re-modeled house, turned out fantastic! 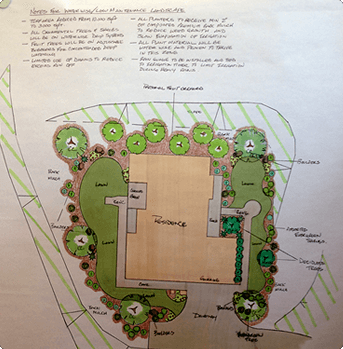 We still have a few more projects to go and I will definitely be turning to Concepts in Landscaping for them. Please call if you have a question about our company or would like an estimate. Thanks for visiting our website. © 2019. Concepts in Landscaping. All Rights Reserved.